Nickelsilver plated steel jingles produce a bright sound that projects well. Hand and Set Up Tambourines (design protected by a utility model) have a distinct design advantage due to the construction of the ABS frame. 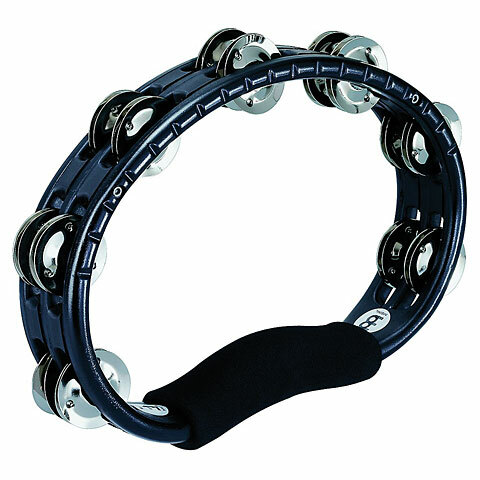 Unlike other tambourines, MEINL’s utilizes several different part in the frame which are assembled into a type of “sandwich”. This results in unsurpassed durability. Due to the their shape and ergonomical design the tambourines are perfectly balanced and outstanding in sound and quality. A wide range with different type jingles is available for all sound applications.